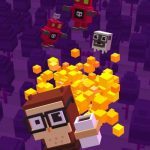 It would seem that Shooty Skies is one of the hotter new games out on the Apple App Store, though it has yet to make its way to Google Play. 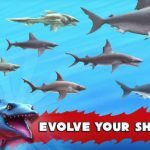 This endless shoot-em-up game comes to us courtesy of Mighty Games, whose staff includes Matt Hall and Andy Sum of Hipster Whale, the studio behind Crossy Road. 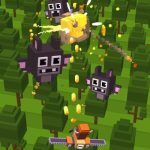 That’s why there are a lot of Crossy Road elements in this game, such as the unlockable characters and the overall cute and quirky nature of said characters and even the enemies and attacks. In our previous Shooty Skies tips and tricks, we had focused on general assistance, meaning those basic things you have to do to succeed in the game and get a high score, and also shared some hints on how to unlock the hidden characters. 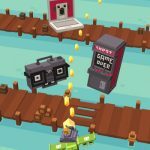 This time we’re zeroing in on the coin-collecting aspect of the game, as we shall now be sharing with you some to earn unlimited coins in Shooty Skies. Every six hours or so, you’ll receive some free coins as a complimentary gift, but if you are to go by the game’s clock, that’s a rather long wait for a bunch of free coins. What you can do here is to set the time on your device ahead by six hours so you can bypass the cooldown timer and get free coins almost immediately. This is a fantastic way to stock up on coins, but there’s a caveat. Once you set the time back to normal, you’ll have to wait until the last time you set your phone or tablet to, then wait another six hours for your next free coin box to arrive. After finishing a round, you’ll see a button that says “Free Coins.” Hit on that button and you’ll be asked to watch an ad video, which will earn you 125 to 250 coins after you’re done watching. That’s not much compared to what you can get from the free coin boxes, but there are usually a lot of ads to watch. Typically, ad videos come up faster if you get killed rather quickly. If you purchase Sir Oinks-a-Lot as your sidekick, that’s going to double the amount of coins you earn when you pick them up during battle. The good thing about this, though, is that you’ll still get the 2x coin bonus regardless of which character you use after purchasing him.